UK titles including Happy Valley, River, Adele at the BBC and Episodes are amongst shows vying for the prestigious Rose D’Or Awards in Europe. The European Broadcasting Union awards have also recognised their very own Eurovision Song Contest this year. No Australian titles have made the cut this year, despite prominent nominees in the past. Over 400 programmes from more than 130 broadcasters and production companies in 33 different countries were submitted. Winners will be decided at a ceremony in Berlin on September 13th. I’m totally googling to find out what the heck ‘Baking in the Dark’ is all about. Surely it’s not people actually baking in the dark? 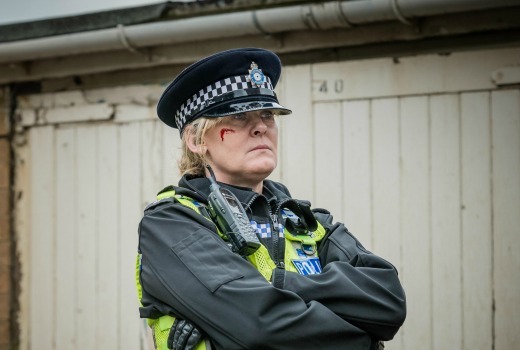 Happy Valley thoroughly deserves to win best drama series – Series 2 was exceptional. Absolutely compelling as was Sarah Lancashire as the lead character. The rest of the cast were excellent as well. Best show I have watched this year so far.